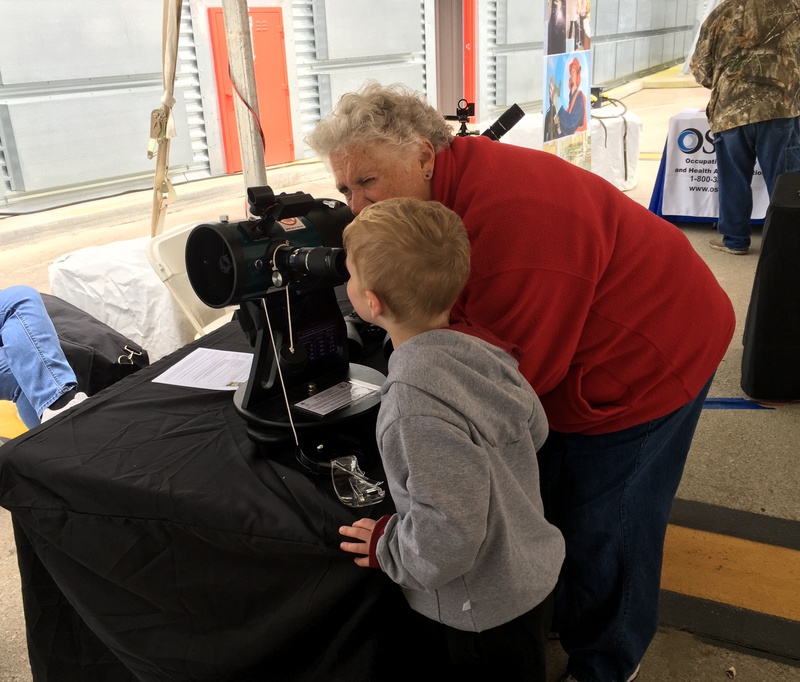 Sharon Bertram, member of the St. Louis Astronomical Society, teaches young night sky enthusiast to use library telescope. Photo: Don Ficken. This week (April 7–13, 2019), the American Library Association celebrates National Library Week. The theme this year is “Libraries = Strong Communities.” The Library Telescope Program, which partners astronomy groups with local libraries to provide telescopes to the public, exemplifies how libraries build community engagement and connection. 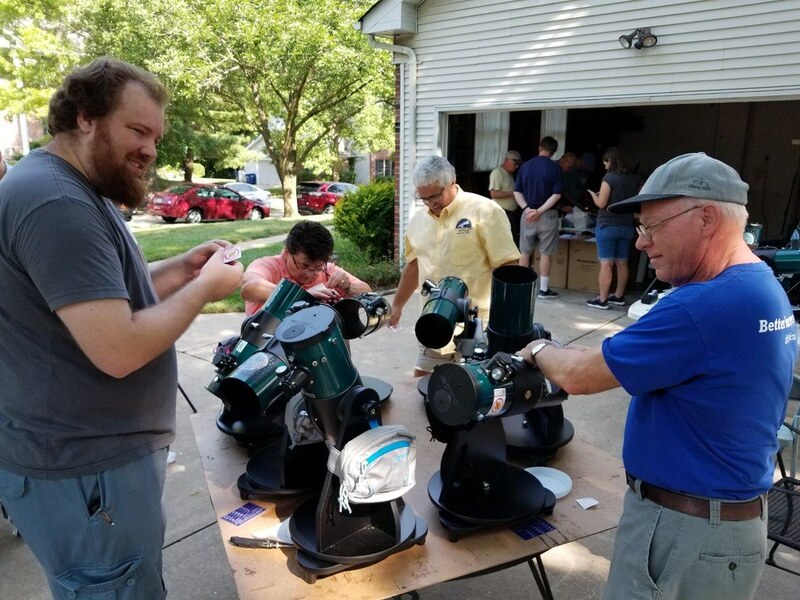 Volunteers from astronomy groups acquire Orion StarBlast 4.5 telescopes, make a few modifications for ease of use and durability, and then provide the telescopes to public libraries for circulation. According to Sky & Telescope, the telescope model is “economical, robust, and well built. It boasts quality optics that provide satisfying wide-field views. And it’s very newbie-friendly.” Each telescope package costs about $325, and funding for the telescopes comes from libraries, “Friends of the Library” groups, astronomy clubs, and private donors. Dave Barry, Opal Andrews, Randy Harrison, and Ray Mueller of St Louis work on library telescopes. Photo: Don Ficken. Library patrons can check out the telescopes just as they would a book, making them accessible to everyone with interest and a public library card. Each telescope is accompanied by a user manual, with tips and tricks for operation. Ongoing maintenance, troubleshooting, and programming are provided by partnering astronomy clubs. Volunteers also maintain the Library Telescope webpage, collecting resources to help others learn how to use a library telescope or launch a program in their area. Don Ficken, IDA’s Missouri chapter leader, has managed the St. Louis Library Telescope Program since its inception in 2014. “The libraries love the telescopes and love the support that we provide them,” he says. “Some libraries report that our programs are the best-attended programs they offer.” The St. Louis program started with 18 telescopes and now offers 167 telescopes through over 30 library systems. Ficken reports that within a year of start the program, an average of 22 people was on the waiting list for each telescope. 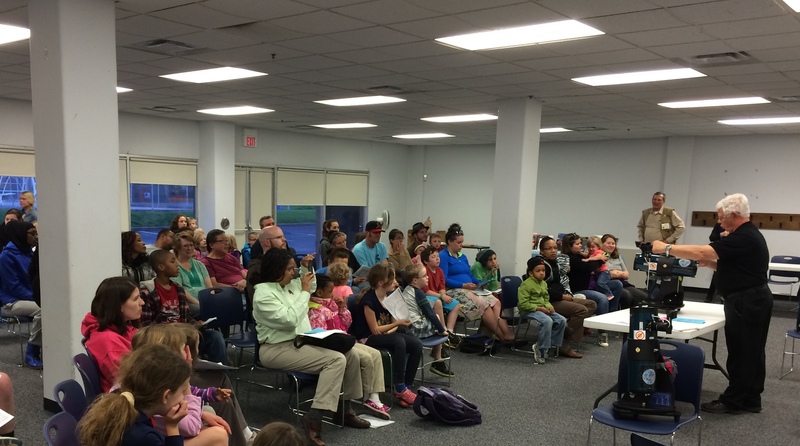 This year, the four St. Louis-area astronomy clubs expect to deliver about 100 library programs. Larry Campbell, of St. Louis Astronomical Society, leads program at St. Louis County Library to patrons before going outside to view the stars. Photo: Don Ficken. To expand the program, Ficken has recently been working with the St. Louis Audubon Society to develop a “binocular program” to supplement the telescope program. He says, “Each set of binoculars would have a pocket guide for viewing the stars (nighttime) and birds (daytime), providing a very attractive dual use for the binoculars. Training on how to use binoculars will be folded into our regular library programming.” This collaboration would also serve as an excellent opportunity to educate the public on how light pollution impacts birds and other wildlife. To learn how you can loan out a telescope or bring the Library Telescope Program to your community, visit librarytelescope.org.